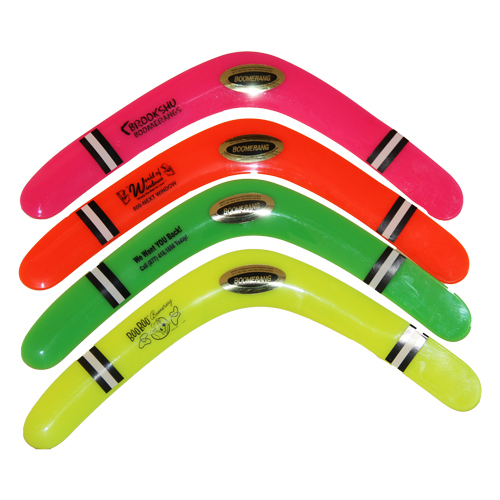 Boomerangs | Promotional Boomerangs imprinted with your logo. Promotional Boomerangs.Return to Us for great service Come back to our booth We want you back Back by popular Demand Keep coming back, etc. Made of Plastic. NOTE: Assorted colors only. 12 Business Days *Production time begins after artwork approval and does not include shipping time. Imprint Area: 1" x 2"